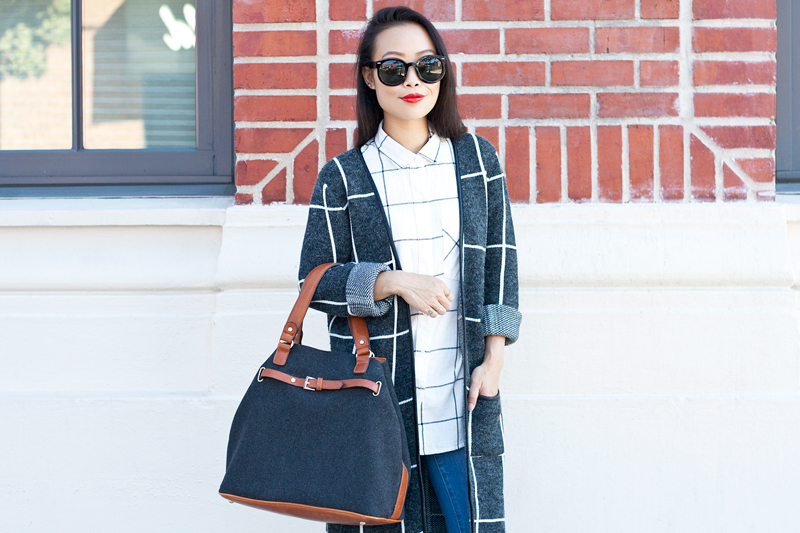 I love plaid, but I love windowpane even more. 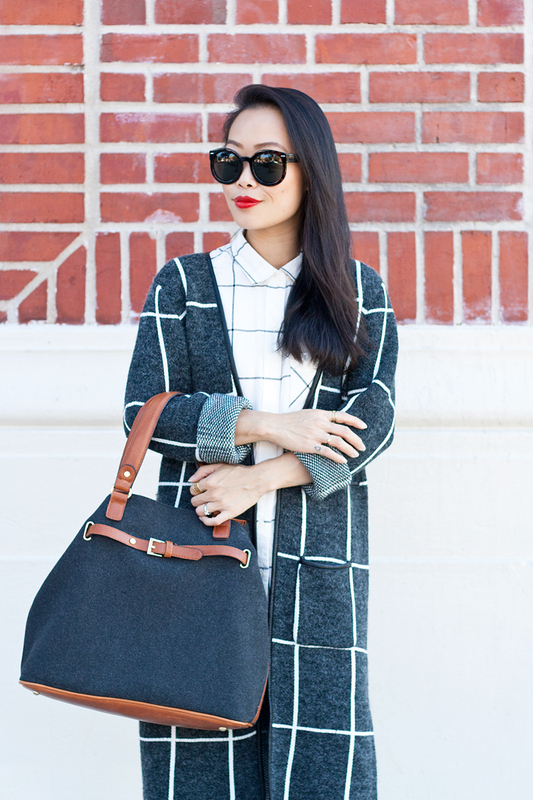 Windowpane is like a sleeker and cleaner kind of plaid. It's just a little more elevated if you know what I mean! I am absolutely obsessed with this sweater coat from my work (I work at Le Tote as their in-house stylist if you don't already know)... chunky, cozy, classy. I thought it would be fun to pair it with a windowpane button-up, print on print because why not? 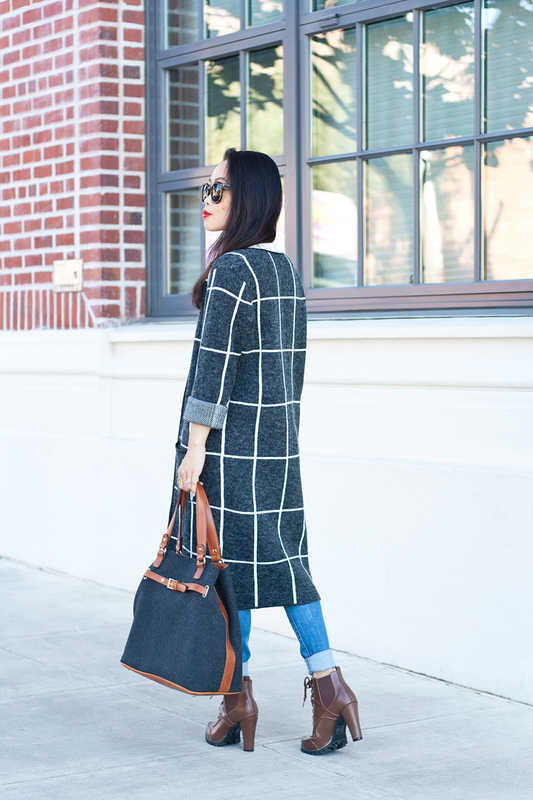 I am also rocking some Levi's, these super comfy combat booties, and a gorgeous wool and leather tote. It's finally starting to feel like Fall and I am enjoying every bit of it! 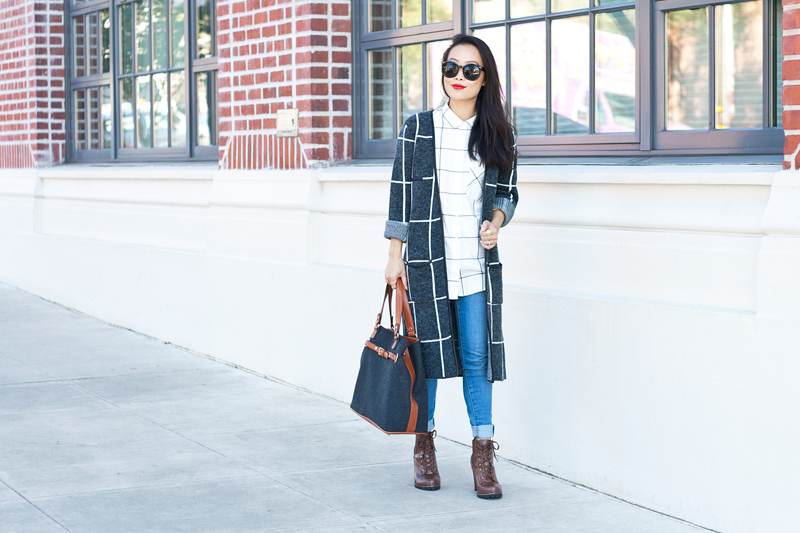 Windowpane sweater coat by Fate from Le Tote. Skinny jeans by Levi's from Le Tote. 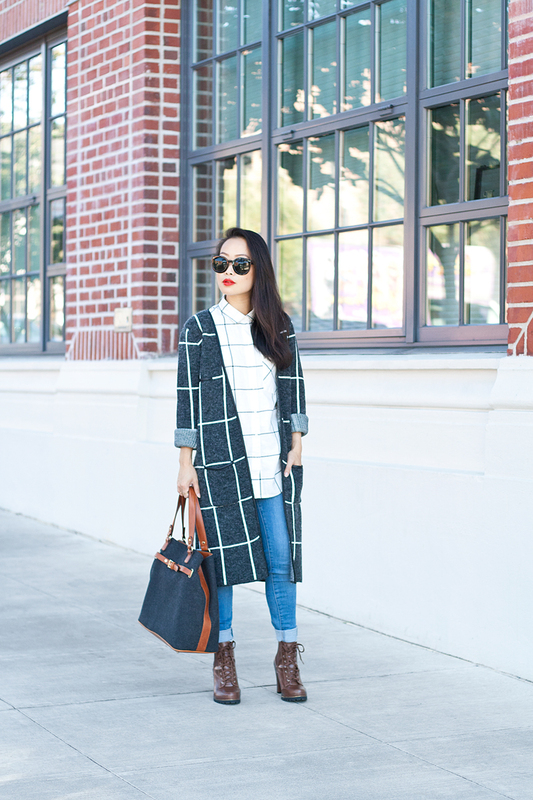 Windowpane button-up shirt from Old Navy. 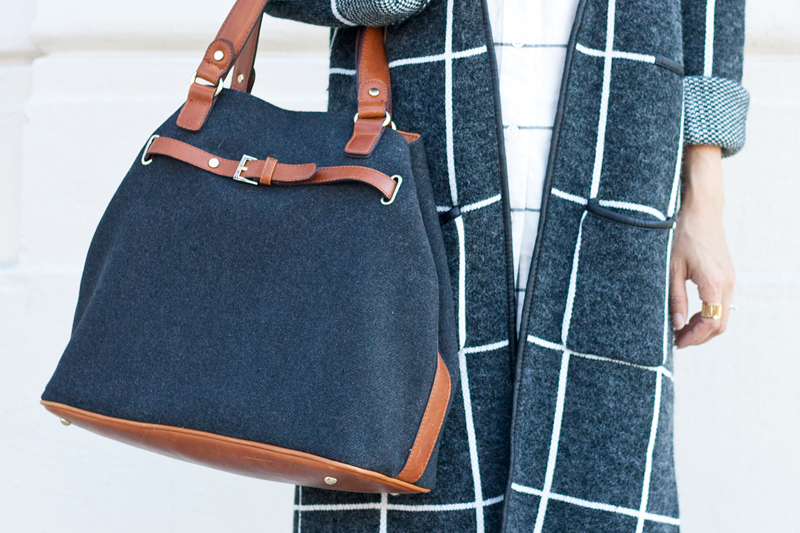 Wool and leather tote c/o Sole Society. 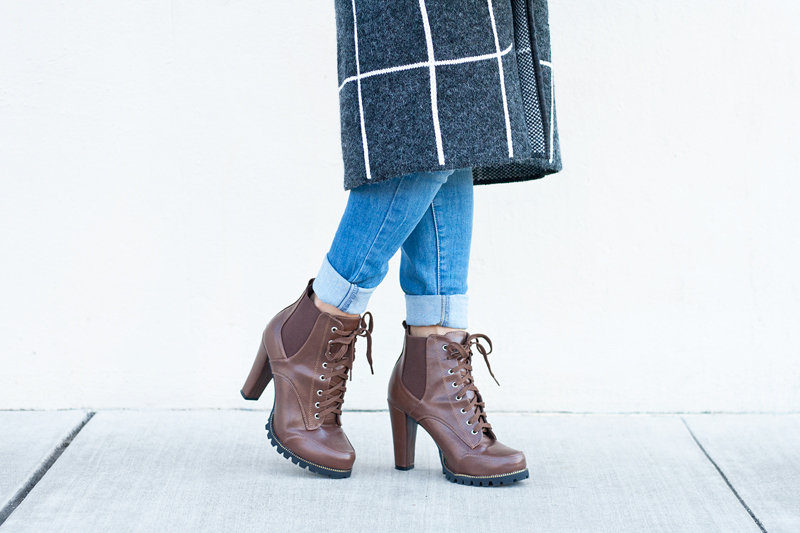 Combat booties c/o Charlotte Russe. Girl, you are all style. Love this look a lot!! 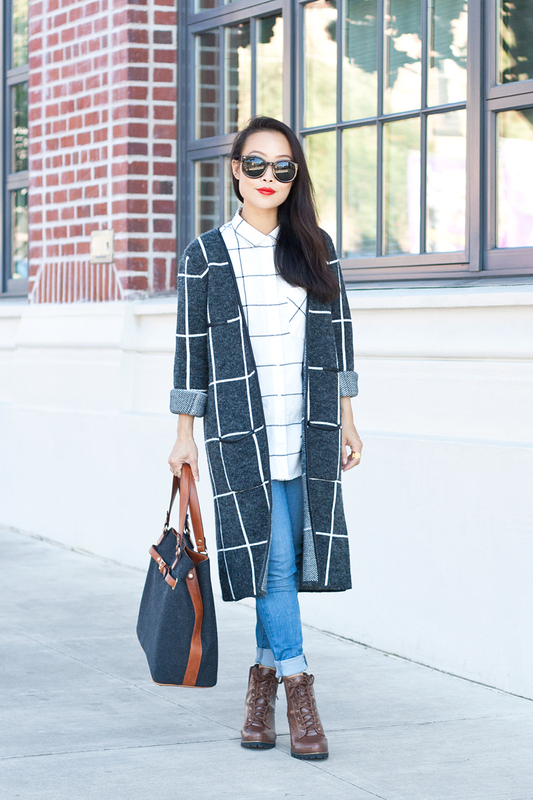 I totally agree with you about the windowpane style, it is a much cleaner version of plaid, and it looks amazing that way! Love your jacket and I think I've fallen for your boots as well! The simple gold rings were an awesome compliment to your outfit. Congrats on the styling job at Le Tote! That sweater coat is to die for.